At Christian Care Centers of Mesquite we cater to everyone! With 26 acres of fun and fulfillment we have room to grow. RETIREMENT LIVING - with spacious apartments giving the best independent living. With planned activities/outings, to laundry/housekeeping with beautiful spacious grounds. 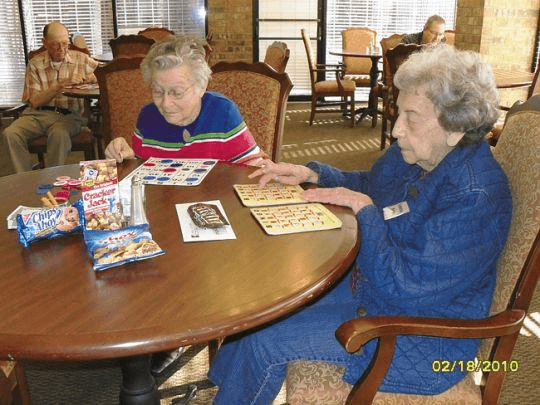 ASSISTED LIVING - is part of the highly reputable and faith-based "continuum of care" organization with private apartments with golf course and courtyard views. ALZHIEMER'S ASSISTED LIVING - is warm, inviting and a place your loved one can call home. HEALTH CARE CENTER -Texas licensed Medicaid and Medicare 24-hour provider of seniors with special needs since 1983. REHABILITATION - licensed therapists with our-patient services available. Physical, Occupational, Speech Therapy available. HOME HEALTH & HOSPICE SERVICES. You can see here at Christian Care Centers we take our job seriously by providing our residents the best care they deserve. Come take a tour with us, and let us show you how we strive for excellence!